For the second time after 2001 Bulgaria hosted a Cooperative Key exercise as a part of NATO's Partnership for Peace Programme. The exercise took place from September 1 to 13 at Graf Ignatievo and Krumovo air bases near Plovdiv. More than 1000 participants from 20 countries with about 70 airplanes trained multinational cooperation. After the retirement of the MiG-23 and the temporary grounding of the MiG-29 fleet due to the lack of spare parts at the moment the MiG-21bis is the sole active fighter aircraft of the Bulgarian Air Force. A Swedish pilot gets a look inside the MiG-21bis cockpit. 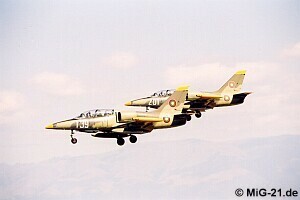 Romania sent two LanceR C and one LanceR B twin-seater. 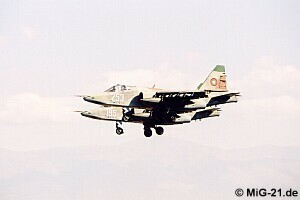 Due to the absence of the MiG-29 and the Su-22 (of the latter only one aircraft is said to be airworthy), the Bulgarian participation was rather limited compared to 2001. 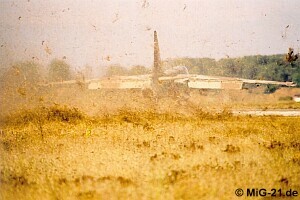 ... but impressive on the ground. L-39 with fuel tanks are a rare sight. 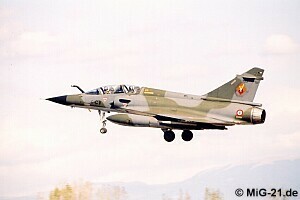 Four French Mirage 2000N took part in the exercise.